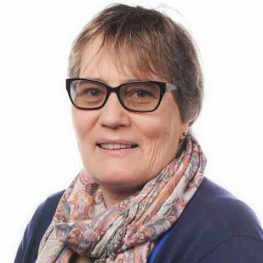 Following obtaining her first degree, Sandra Hall has been a chartered librarian for almost forty years, working in a variety of sectors within the United Kingdom, at service and management level. For the last fifteen years she has worked as a teacher-librarian with students up to eighteen years old. She is currently working as a school librarian in Surrey, a position which successfully combines her library science degree with the postgraduate teaching qualification that she gained in 1998. In this role, she promotes reader development and the building of information literacy. A life-long learner, Sandra has a MA in history, as well as a second bachelor degree majoring in mathematics. She loves research and has a keen interest in study skills and research strategies, especially the use of model mapping and other visual tools to accelerate learning. Sandra is a keen reader, with a wide range of interests including the architecture of Christopher Alexander, history, child development and spirituality. Her fiction reading includes Jane Austen, children’s literature, and genre fiction especially fantasy, mysteries, historical novels. An inaugural student of Signum University, Sandra has taken several courses with Mythgard Academy. She is the Library Team Lead, coordinating the service offered to both students and faculty of resources to support their studies, as well as the production of the research guides, which are available for all to use. She works directly with the external agencies that provide resources through the library. Sandra is also responsible for creating and maintaining the library pages on Signum’s digital campus. She can be contacted at any time for advice on approaches to research and help if technical problems occur in accessing library resources.